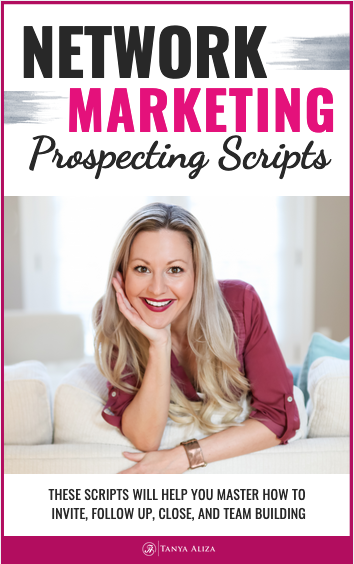 In this episode, I’m sharing my best network marketing tips that will help you save time by avoiding having to answer the same questions and objections from your prospects and teammates over and over again. Ever feel like most of the limited time you have to work on your business is being spent on the phone answering the same questions from prospects and teammates? You could spend hours and hours on the phone answering the same questions in your business or you could take a smarter, more leveraged approach that won’t sap all your time and energy away. In this episode of Tanya Aliza TV, I’m going to show you how to leverage your time in your business by creating a process that will help you avoid answering the same questions and objections from your prospects and teammates over and over again. 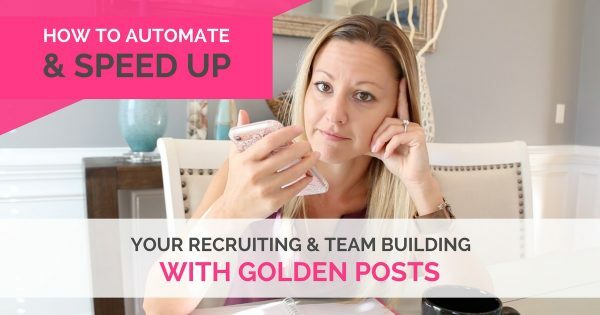 This week, since we’re talking about golden posts, I’m going to share with you My Top 5 Golden Posts To Automate & Leverage Your Business. Inside this resource, you can see my golden posts and use them with your team or you can use them as a springboard for ideas on how to start creating your own golden posts. If you’re working every day to build your business, there’s no doubt you’re going to get the same questions or objections over and over again. If you want to build a 6 or 7-ﬁgure income for yourself, you’ll want to build leverage and automation into your business so that it doesn’t end up taking over your entire life. My ﬁrst choice is to automate it whenever I can but if I can’t I will delegate it and if I can’t do either one of those then I’ll eliminate it. But in this case, I have the option to automate and you’ll notice most things in your business can and should be automated. When I notice I’m getting the same question or objection in my business more than twice, I’ll create what’s called a golden post. And if you’re not sure what golden posts are, then no worries… I’ve got you covered. 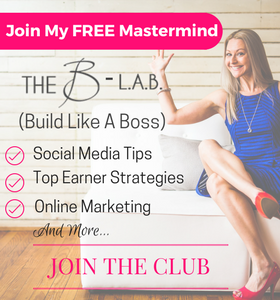 I’ll be showing you what they are and I’m also giving you My 5 Top Golden Posts so you can actually see them and use them in your business. Network Marketing Tips – So what exactly is a golden post? A golden post is an answer to a question you frequently hear from prospects or teammates in the form of content. The content can be in the form of a blog post or video, but it serves the purpose of answering a question that comes up frequently. This allows me to send them the link to the video or blog post that has the answer to their question instead of me having to be on the phone for 45 minutes each time a prospect or teammate asks questions and objections that are redundant. If a prospect sees that you have invested time in creating content, they will view you as an authority and leader in your industry. Ideally, you’ll want your golden post to be a video or a blog post that you can put on your blog. I deﬁnitely recommend that if you want to be seen as a leader and an authority in your industry that you have a blog. But if you don’t have a blog yet, there are still ways that you can create golden posts and direct people to them. This will save you a lot of time and it also beneﬁts your prospects a lot more because they can always go back to view the content if they need to. BOTTOM LINE: You’ll want to create your golden post on any platform that you can direct people to right now even if you don’t have a blog. However, you’ll want to set up a blog at some point, so you can be seen as a leader and an authority in your industry and someone of value. Here’s your action plan on getting started with golden posts. Make a list of the Top 5 objections or questions that your prospects are giving you when presenting your products, service or business. Then you’ll want to write down the top 5 questions you get from your team if you’re building a team inside of network marketing. What are the top 5 things that they come to you to ask you how to do? And then you’ll want to create a golden post for each one of these questions and save the link so you can give it out whenever you get that question from a prospect or teammate. The beauty of it this is that once that post is done you can send me people to it and put that golden post to work for you over and over again. If you’re ready to go beyond spending hours on end answering questions and want to have time for your life and the things in your business that you enjoy doing, then you’ll want to start using the Golden Post strategy. Click on the yellow button below and download My 5 Golden Posts To Automate & Leverage Your Business. I really love this training presented by my buddy Ray Higdon. It’s all about how to become an authority in your business through your blog and doing really simple and fun 3-minute videos that generate you leads and sales for your business. Ray has obviously mastered this art with his multi-million dollar brand, blog, and videos so he’s one trainer that you might want to check out! I’ve worked with Ray very closely and his training is fabulous! 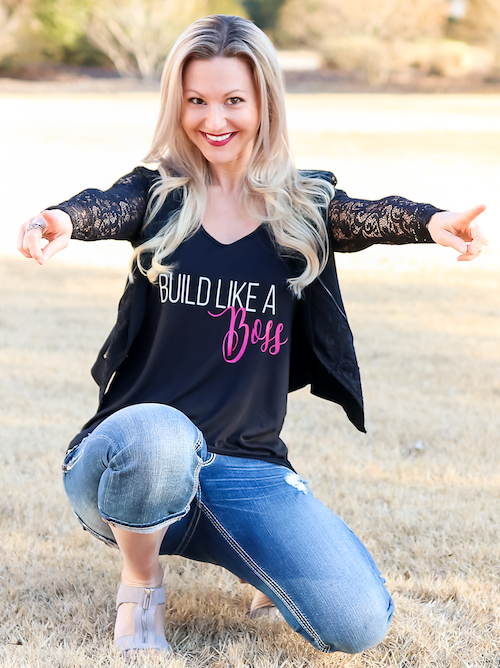 I hope you did because each week I put my heart into making sure you get some amazing network marketing tips and strategies to rock it in your business while creating a life you love. Question of the week: What’s going to be the topic of your ﬁrst golden post? Share in the comments below. I’d love to know! Hope you enjoyed these network marketing tips!